The world could use more No. Yeah, I know. They’ve got a new album out. I’ve got it. But it doesn’t stick in my mind like some of the older stuff. This song reminds me of a woman I coached in softball back when I was in college. She once put a woman in the hospital with an errant throw, so I nicknamed her Thunderball. Then she got shot down by muggers in front of her kids because she wouldn’t kneel for the muggers. Doesn’t that brighten up your Monday? NASA’s been writing mission-critical software for space exploration for decades, and now the organization is turning those guidelines into a coding standard for the software development industry. The NASA Jet Propulsion Laboratory’s (JPL) Laboratory for Reliable Software recently published a set of code guidelines, “The Power of Ten—Rules for Developing Safety Critical Code.” The paper’s author, JPL lead scientist Gerard J. Holzmann, explained that the mass of existing coding guidelines is inconsistent and full of arbitrary rules, rarely allowing for now-essential tasks such as tool-based compliance checks. Existing guidelines, he said, inundate coders with vague rules, causing code quality of even the most critical applications to suffer. It’s not The Programmer’s Book of Rules, but it’s worth reading and considering even if your software can’t kill people. 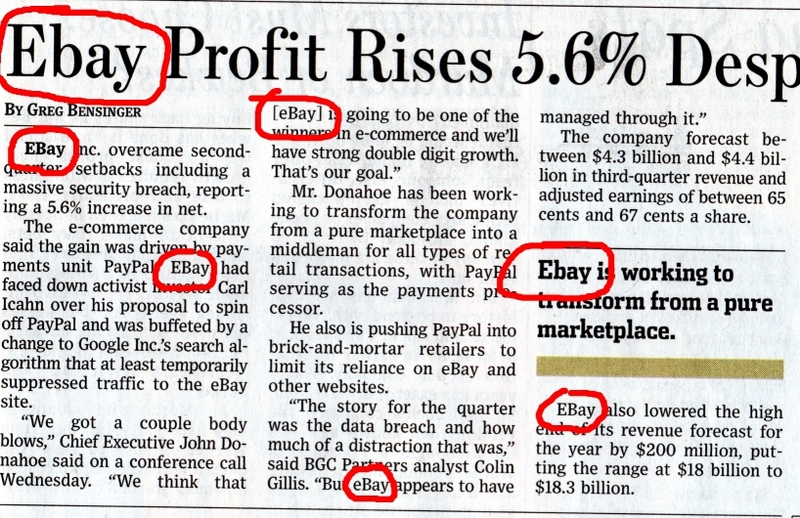 The Wall Street Journal changes its capitalization of eBay depending upon where it appears. Carl Icahn slightly boosted his holdings in eBay Inc. by about $25 million in the fourth quarter, according to the activist investor’s latest quarterly filing. 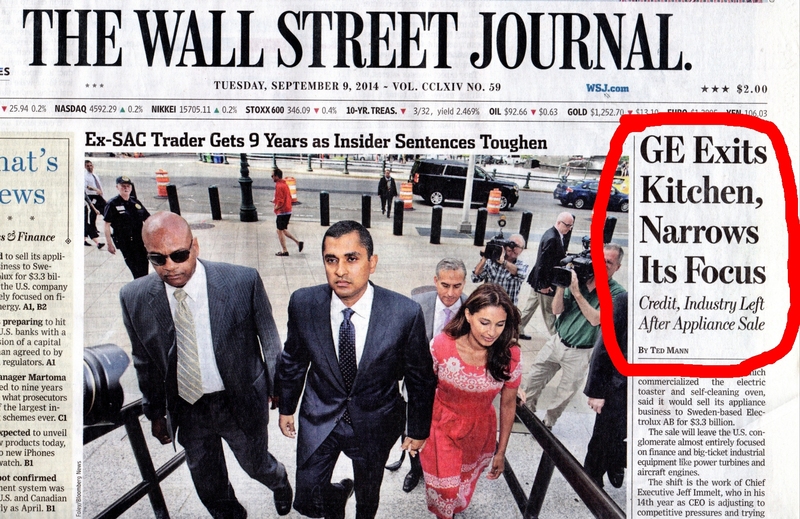 In the print edition headlines and drop quotes, only the E is capitalized. In the online story, both the E and the B are capitalized in headlines. When it appears at the beginning of a sentence, both the E and B are capitalized. When the word appears in the middle of the sentence, it is appropriately capitalized as eBay. This is a style guide issue, as the inconsistent capitalizations are consistent in where they’re inconsistently capitalized. Apple Inc. surpassed even the most bullish Wall Street expectations for its holiday quarter with an improbable trifecta: selling more iPhones at higher prices—and earning more on each sale. It looks as though the corporate style guide could use a little correction. How about yours? 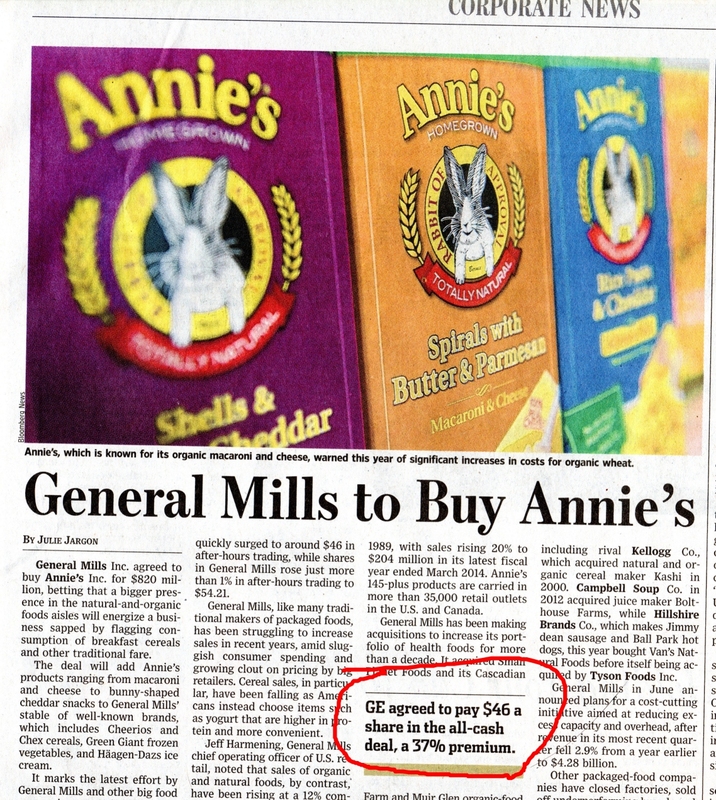 Of course, General Electric is not buying the food company Annie’s; the headline makes clear that the General in this case is General Mills (stock symbol: GIS). But there’s nothing in the drop-quote to indicate something is wrong within its own context. Maybe General Electric often pays premiums like that during an acquisition. Maybe the copy editor or whomever did this dropquote finished the GE story from page 1 just minutes before working on the General Mills story. However, we’ve got to retain context when testing and proofreading. Where does this come into play in testing? The foremost example in my mind is when we’re doing things to trigger error conditions to make sure that an error message displays. It’s possible that the system will throw up the wrong error message and we’ll miss it. I once wrote automated tests that triggered error conditions and parsed the error message (mostly to make sure an error message applicable to the screen and operation displayed). However, I did not write it smart enough to compare the error message that displayed to the error message expected. So when the application started failing by displaying the wrong message for the occasion, the tests didn’t catch it. So you’ve got to remember to see the forest and the trees–along with the underbrush, the soil, the other flora, and the carnivorous fauna–when you’re testing. The article goes on with tips and tricks to maximizing your meeting other people to sell your services to or to meet people who might help you get a leg up, basically. I must be doing it wrong; when I go to conferences, I go to attend the sessions and to learn what the speakers have to offer as to professional insight. Maybe I’ll meet someone I know off the QAternet or something, but I don’t count on it, and if I don’t, I don’t think that I’ve lost something. Of course, I don’t go to enough conferences and conventions often enough to have my soul crushed, and I don’t think of them primarily as mass in-person sales cold calls, so I’m probably doing them wrong when I do go. But maybe you’ll find the article useful. I go to a dojo filled with positive, encouraging, uplifting people, from the kyoshi to the black belts to the other students. You want to talk about imposter syndrome, and I’ll explain how I feel when surrounded by nice people. 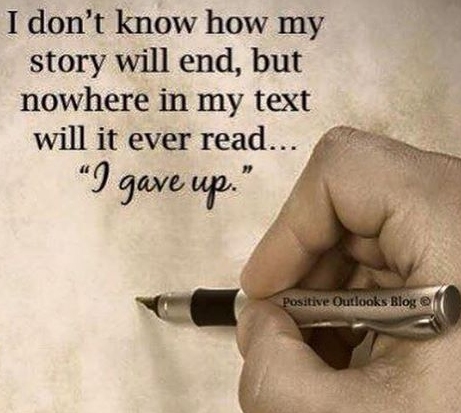 At any rate, members of the dojo often post motivational images to, well, motivate each other. And immediately, my mind works to find the condition where the assertion is not true. I must subvert it. 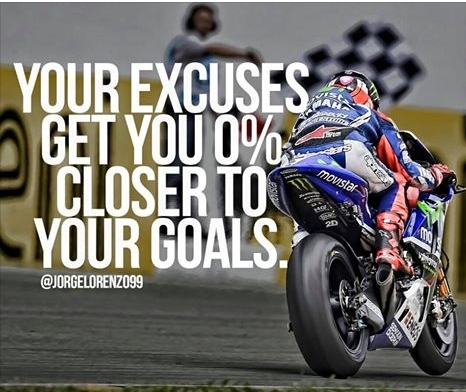 Your excuses get you 0% closer to your goals. Unless you’re writing a book about your excuses, I think. Real-estate agents, better take out that red pen. An analysis of listings priced at $1 million and up shows that “perfect” listings—written in full sentences without spelling or grammatical errors—sell three days faster and are 10% more likely to sell for more than their list price than listings overall. On the flip side, listings riddled with technical errors—misspellings, incorrect homonyms, incomplete sentences, among others—log the most median days on the market before selling and have the lowest percentage of homes that sell over list price. The analysis, conducted by Redfin, a national real-estate brokerage, and Grammarly, an online proofreading application, examined spelling errors and other grammatical red flags in 106,850 luxury listings in 52 metro areas in 2013. Think it applies only to real estate and not your product interface? Are you willing to take that gamble? You’d better make sure your Web labels, error messages, and helpful text are grammatically correct, or you won’t be able to quantify how many people don’t use your software because they thought it was written by third graders. Because they won’t be your users. QA Music – I Want My…. Posted in QA music | Comments Off on QA Music – I Want My…. 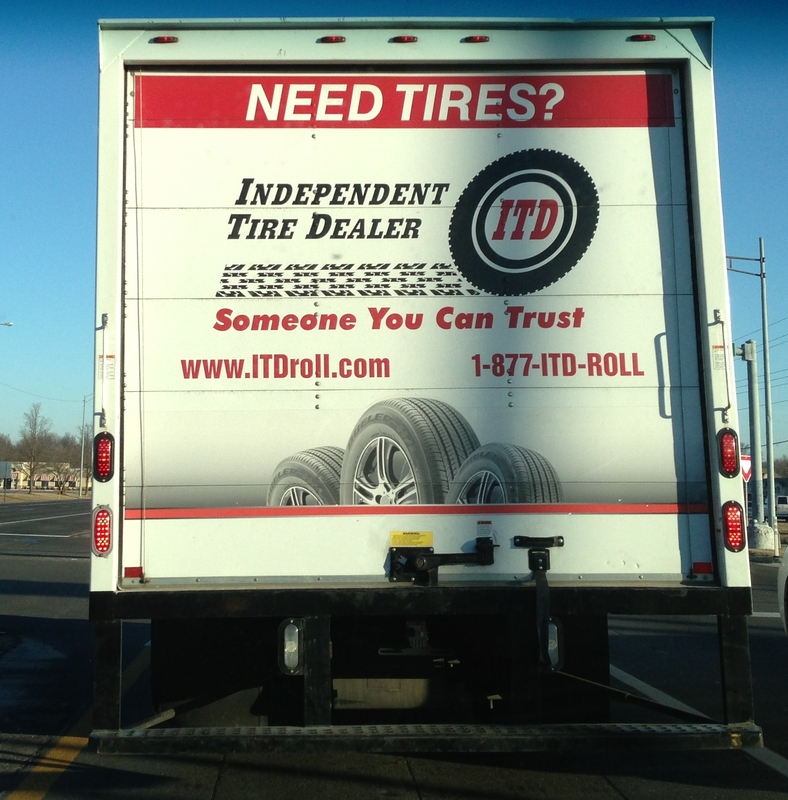 Alas, ITDroll.com is not droll musings on the computer industry after all, apparently. Why Would They Call It A ‘Hot’ Key If Nobody Stole It? This was odd. We don’t really special-case any language in any way, and even if we did… out of 32 Polish characters, why would this random one be the only one causing problems? Turns out, it wasn’t so random. This is a story of how four incidental ingredients spanning decades (if not centuries) came together to cause the most curious of bugs, and how we fixed it. It’s hard to test for the conditions to recreate this bug unless you’re Polish. It’s also a humbling example of how we’re going to miss things because of our (as yet) limited omniscience. Posted in Miscellany | Comments Off on Why Would They Call It A ‘Hot’ Key If Nobody Stole It? This book is forty-five years old. I realize I’m doing some of Quality Frog‘s schtick here, reading old computer books to glean the lost knowledge of the ancients, but bear with me. 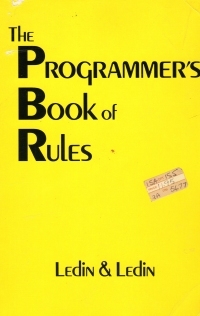 This book really does contain a set of rules for programmers to follow: The left pages have the rules in large font, and the right pages have the rules explained in a paragraph or two. The book focuses not only on programming best practices, but also on software development best practices, and these are much more applicable to modern programming than the pre-object oriented programming lessons. Fit your program to your users’ needs. 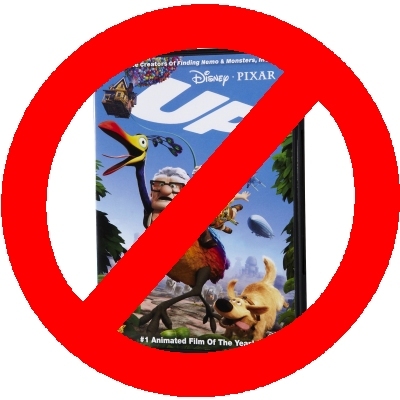 Other rules cover interface design, such as Display results with pertinent messages which are just as relevant now as it was when the interface designed displayed only green or amber text. Even the discussion of loops, variables, and breaking your program into sections has a sort of relevance because it discusses these things philosophically, at a high level, in a way that programming how-to books and online language tutorials do not. It’s a quick read or browse; although it’s roughly 220 pages (which is still slim by modern, $60 computer book standards), it’s really less than that since the text is not densely packed on the pages as described above, and it’s worth the time for the insights not only into the crystallized rules but also in the recognition of some software development problems and goals predate the Internet, which I am pretty sure some of our younger co-workers don’t know. I just ended a twenty-six month contract, and I’m excited to start something new. Which is TBD, but still exciting. You are currently browsing the QA Hates You weblog archives for February, 2015.